Every patient looking for quality dental care in Las Vegas should know that they not only need to find a qualified dentist, but a first-rate dental office. This includes updated facilities and an outstanding staff that is always ready to accommodate your dental needs. 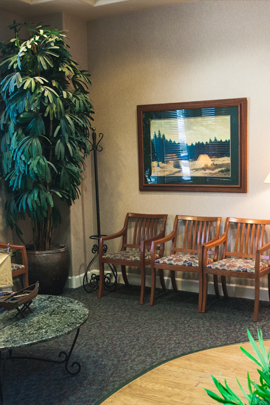 Entering our dental office, you will experience a relaxing atmosphere in a casual setting. Dr. Crowleys office and equipment enhance his ability to provide you with the safest and most comfortable method of dental care. We take sterilization seriously and are meticulous in employing the sterilization requirements of the Nevada State Board of Dentistry.